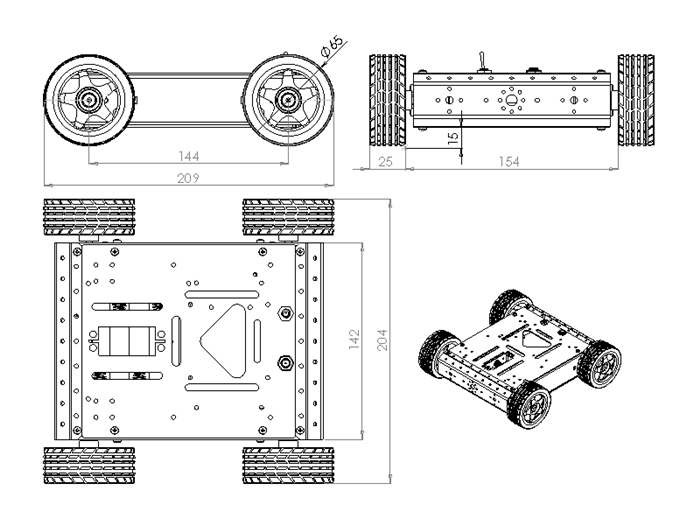 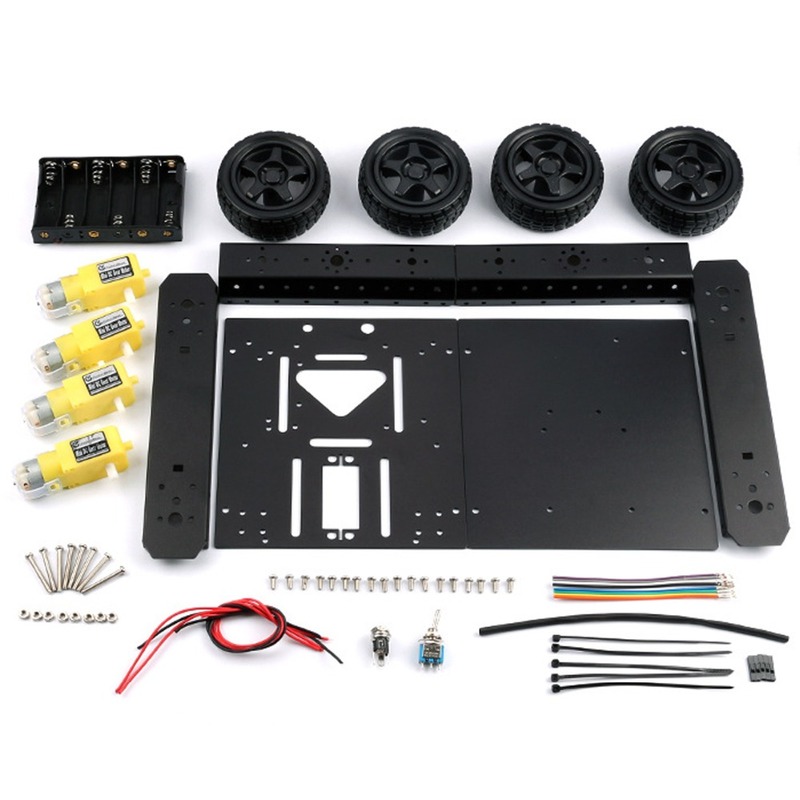 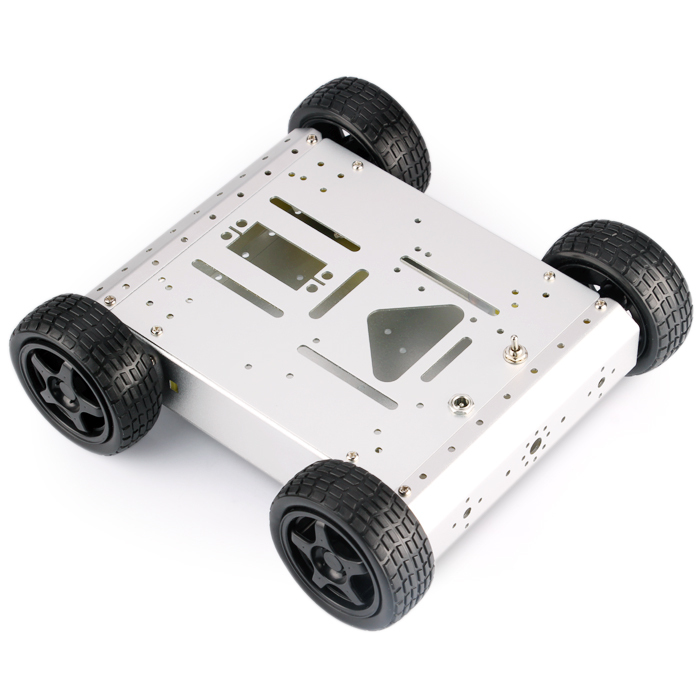 The latest Arduino-compatible 4WD Aluminum Mobile Robot Platform. 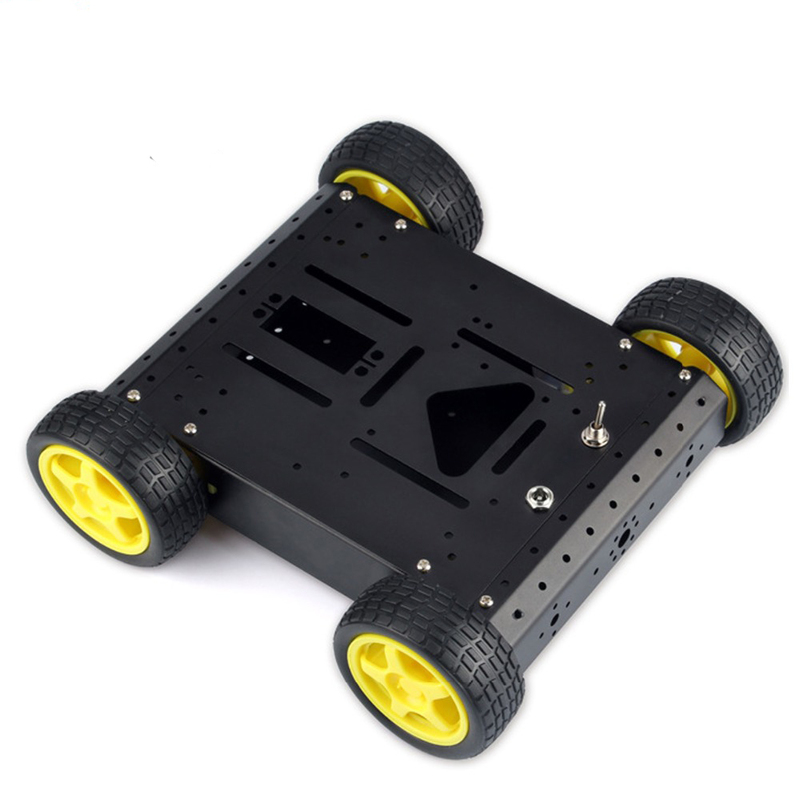 can hold many controllesr, drivers, sensors and RFmodules etc, support plate with controller mounting holes, 2 dof pan and tilt holddown groove, collision switch mounting hole, an be added with sensors.light weight, high strength and no deformation characteristics. 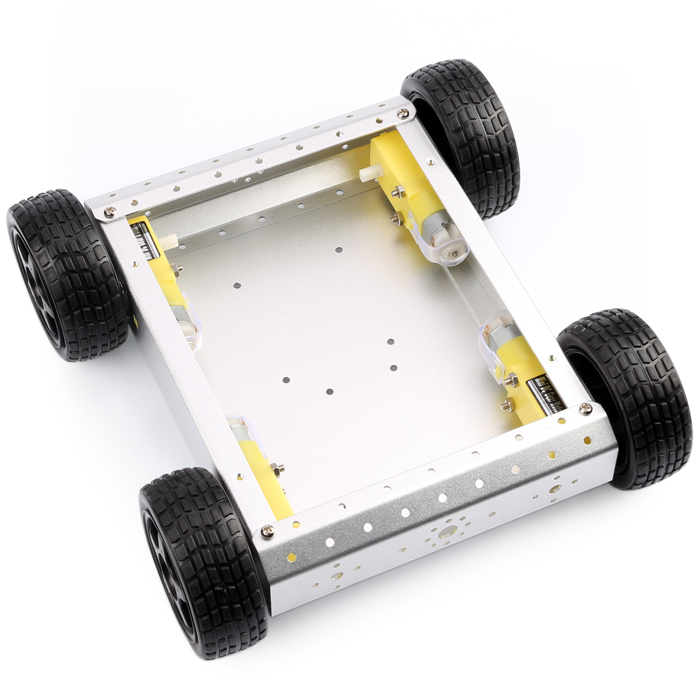 unique design and colour,cool feeling.elastic rubber tyres, with damping, wear-resisting, grip strong charastics.